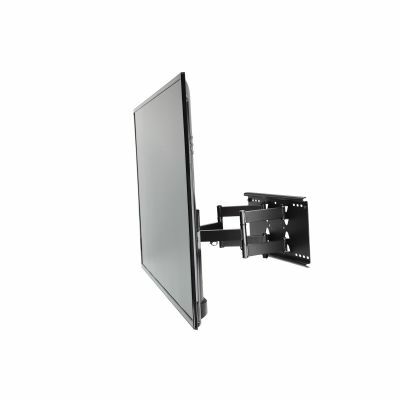 Don't know what tv wall mount to choose? You want to save space and you want it to look amazing? 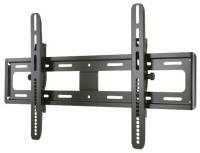 There are advantages and disadvantages to TV wall mounts. Such as flat vs tilt, fixed vs articulating, etc. 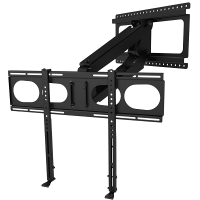 We only us the highest quality tv mounts available. 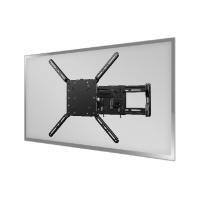 All of our TV Wall Mounts come with Lifetime Warranties. Additional mount sizes not listed below, and are available upon request. We are available 7 Days a week to answer any of your questions and help you decide which TV mount is right for you. Fixed: This type of mount holds the TV snug against the wall, flush with the wall. It keeps the TV closer to the wall than any other type of mount, giving a very clean, custom look. 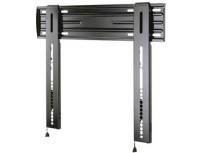 However, a fixed TV wall mount offers no position adjustment. These are best for installations where you have total control over the lighting, to avoid glare on the TV screen; and for rooms where people will always be viewing the TV from the same position, ideally positioned centered in front of the TV. 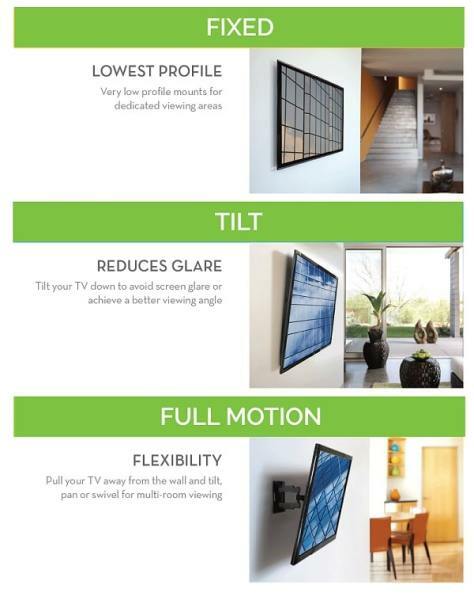 Tilt: A tilting mount gives the television a slight range of pivoting motion both back and forth, allowing you to angle the TV down (useful if you’re mounting it above a fireplace). This type offers a number of benefits over a non-tilting mount. Most important, the tilt helps compensate for glare on the screen. Natural light can reduce visibility, and even a small adjustment up or down can typically minimize this. 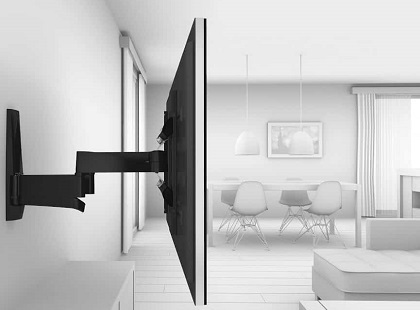 Because of this feature, a tilting mount offers more flexibility as far as where you place the TV. The other major benefit is that you'll be able to shift the screen enough to fit behind the TV for wiring purposes. With a standard flat mount, the wiring often has to be done before the TV is mounted to the wall, which can make installation difficult. 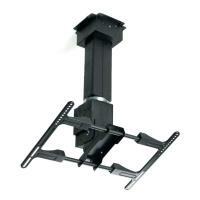 Articulating: articulating TV mounts are on an arm or extension that allows you to (pan, tilt, swivel). Articulating mounts are often called "full motion" because they allow for the widest field of view out of all of the bracket types! Full-motion mounts are useful mostly if you need to put your TV in a corner or turn it toward opposite sides of the room, say if you want to put your TV in a kitchen and angle it so you can watch it from the breakfast table sometimes and from the counter otherwise. But for most typical living room installations, a tilting mount is effective enough (most people already have their seating focused around their TV location and this kind of dramatic viewing adjustment is unnecessary) and makes for a cleaner look since it sits closer to the wall. 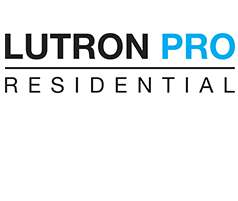 We take pride in only using high quality products for all of our TV Installations. 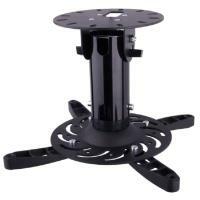 Avoid the all confusion and hassle trying to figure out what mount works best for you. 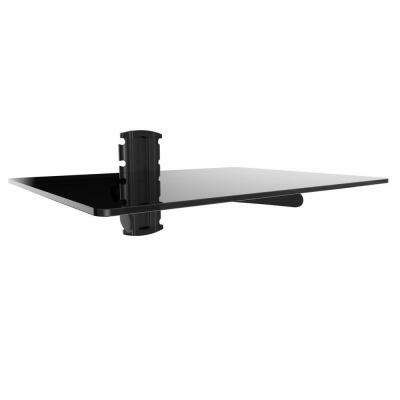 We carry all different types of TV mounts, and know from years of experience, which one will suit you for your particular decor, application and personal needs. Let us help you put together a package that suits YOUR needs. Floating glass shelves are great for freeing up floor space and enhancing the look of your entertainment system environment. We carry single, double, and even triple glass shelves. Cord organizer is streamlined to blend with any décor and is ideal for concealing cable cords. 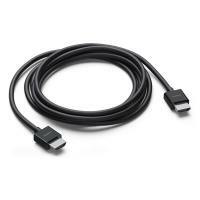 A cord cover kit is the quickest, easy way to conceal a few cords or cables. 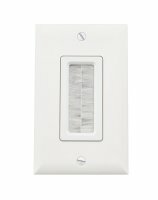 Its stylish design complements most interior decors and is great for concealing low voltage cables. wireless solutions that get your HD or non-HD content from your computers and your home theater devices to your big screen TV. From utilizing the ultra-wideband (UWB) technology for PC to TV (Internet to TV) to the robust wireless “N” technology enabling the streaming and broadcasting of Full HD 1080p with digital audio from your Blu-ray player, HD DVR/Set-top box and other non-HD devices. 195 pound weight capacity. Fixed. Sits 0.75" inches from wall. 165 pound weight capacity. 0-15 degree tilt Sits 1.8" off of wall. 0-15 Tilt. 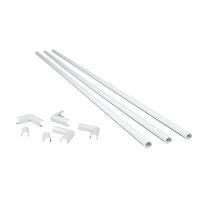 Extends up to 24" collapses about 2.4" from the wall. 0-180 degrees swivel. Fits flat, vaulted ceiling or wall. 0-15 Degrees forward and backward and Pan 360 degrees. Fits small to medium sized projectors. Weight capacity is 33 pounds. Matt helped us navigate a TV upgrade and install. He was kind, patient and helpful. He did a beautiful job on the install and gave us great advice about height and what type of bracket to mount on. He went over the features of the TV and put all the controls to one remote during the install. We are now looking to do an upgrade and mount a TV in our bedroom since the process with Matt was a very good experience. He is hard working, and was super with calling me and consulting, looking at photos of our space before he arrived and was neat as a pin, practically sweeping his way out of our unit after the project. He will give you options and guide you through the entire process. He is fair and honest. I will be using Matt again at our home and will hire him for my parents who I know he will take great care of, so to me that says it all.